Dartzeel CTH-8550 review | What Hi-Fi? Never has the colour of a hi-fi product drawn so much comment from our testing team. Dartzeel's trademark combination of a gold front panel and red casework just didn't work for most of our reviewers, but it may work for you. If the combination doesn't suit, there's always the more conventional all-black version as an alternative. What does 17 grand buy you? Immaculate build, for starters. Dartzeel is a Swiss company and all the stereotypes about Swiss engineering hold true. The CTH-8550 is beautifully made, from its intricately machined volume control to the solid casing. Internally, it's as we'd expect: carefully considered circuit layouts, bulky dedicated power supplies and top-quality components. The result is a 200W per channel integrated that raises its power output to 330 W as impedance halves. That kind of power is enough to drive most speakers to high levels, even in larger rooms, although it's only fair to point out that there are plenty of amps that produce more power at a fraction of the price. As standard, the Dartzeel comes as a line level only unit, with four RCA inputs and a single balanced XLR pair. The amp has a further two connections referred to as Zeel 1 and Zeel 2, though we've never come across a source component with only BNC outputs. To this range of inputs you can add optional moving magnet and moving coil phono boards. As you can imagine these aren't cheap, adding £664 and £1022 to the price respectively. This integrated is massively configurable, from trimming input levels, to disabling the power amplifier stage to transform it into a dedicated preamp. There's even an internal timer to switch the amp out of standby just to make sure its circuitry is nice and toasty before listening starts. 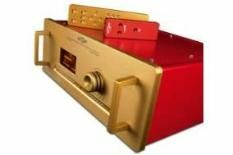 The amplifier is supplied with two nicely weighted remote handsets: one is comprehensive, covering all the amp's features, while the other is a simple device for altering volume level. In use the CTH-8550 is amazingly crisp and precise-sounding. There's loads of fine detail and that makes it easy to hear deep into the mix of music such as Schubert's Symphony No.9. The amp makes light work of the waves of instrumentation and delivers it all with a strong propulsive quality that really gets the listener involved. Tonally, Dartzeel gets it right. Despite all the precision there's not a hint of clinical here: its sonic presentation is sweet without softness, and full-bodied without overt richness. Instruments lack nothing when it comes to texture or solidity. There's also enough agility and snap to work well with hard-charging music such as Florence and the Machine's Lungs. You can add impressive composure during complex recordings and at high volumes to the plus column too, as well as a well-focused soundstage. Yet despite being hugely capable, the CTH-8550 doesn't set new standards. Its power output is healthy enough, but the amp never quite manages to pound out basslines or deliver midrange slam with the determination of something like our reference Bryston BP26/4BSST pre/power combo (which weighs in at £9000 less). There's also an inability to swing large-scale dynamics with the required authority. For all its insight, the Dartzeel lacks a little muscle: if it had that, even this price tag would look reasonable. Remember this is no off-the-shelf product. It's pretty much built to order, and built to the highest standards. That in itself explains part of the outlay. However, we're not inclined to give this amp an unreserved recommendation, even if the price was acceptable. Sure it sounds great, but there are areas of weaknesses, too. At this level kit shouldn't need any excuses. The CTH-8550 is almost magnificent, but at the price, almost isn't quite good enough.